Requests will be accepted ASAP for any new members. We will be hosting a few fun combos and testing social events in the coming weeks before launching the official DSRL Rally Championship in the new year. This weekend we will be driving 70's & 80's cars in a small single event spread across 5 stages in Greece, Wales and a sprint in Finland to finnish off The event will last two days and goes live in under an hour from now for all members to try out on their own time if they choose. Car choice is entirely up to you, pick your favourite of the bunch or go for something crazy. setups will be off with equal engineers, a service every other stage and an event restart option on if you run into serious trouble. Re: The DSRL Rally Returns! The first Time is in from Drift GTR..... Looking tasty at 25:58.2 in the Kadette.... Can you whip it? A new casual event is up! This 5 stage event in Germany will be RWD Group B cars (Opel, Lancia) and focus on tuning for various tarmac conditions. The upcoming championship will be much smoother to get through with further knowledge about how different tuning adjustments change the car characteristics in Dirt Rally. The event is up for 3 days with event restart on so plenty of time to get a final LB standing in. Hope I'm not to late to the game... I requested to join the league and am excited to be able to have friends that play this game to. None of my current friends can deal with a sim like this and don't care for it. My Xbox gamertag is the same. Feel free to add me and I will finally have some times to compare with. As soon as I get some time, I will be signing up for the championship rally. As long as I can do the rally in a day, I'm good. As the name states, I work on a tug boat and get limited time home. But at least one or two nights a week and I am good. Thanks for having me. 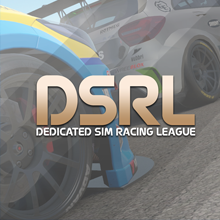 Welcome to the DSRL! nope you're not too late man... these events are up quick just for fun, another one will be up later today. I'll accept your request now, hope to see you in the DSRL RC when you can find the time! Well that was embrassing... One stage, halfway and done... I guess I was so excited I was doing a bit over 7/10's. Oh well it was fun either way.